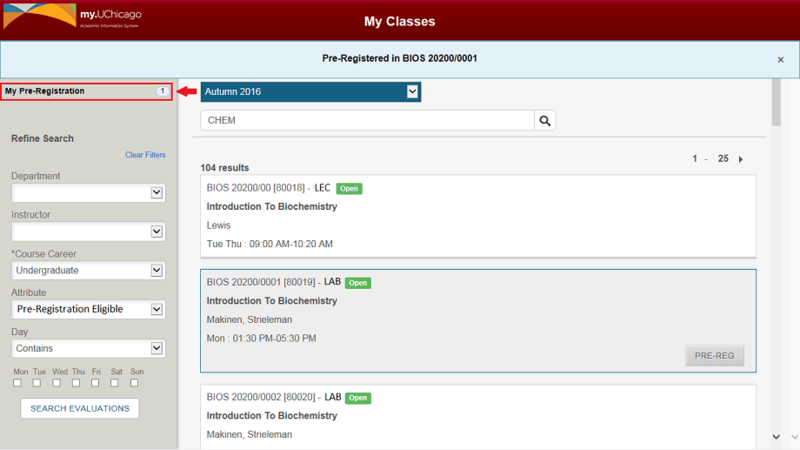 Incoming first year students register for their first quarter of courses during First Year Pre-Registration process which occurs over the summer. 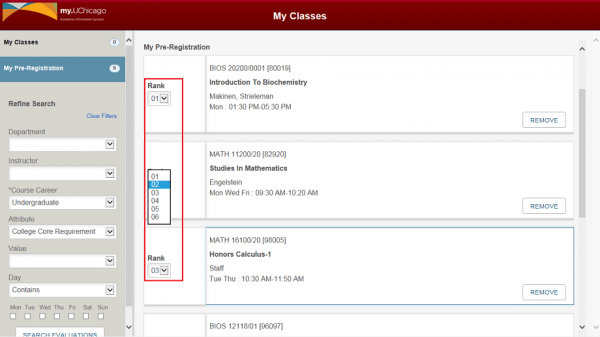 Students select and rank their preferred courses and an algorithm is run in the registration system to maximize their top choices based on several factors, including seat availability, to create the student’s schedule. 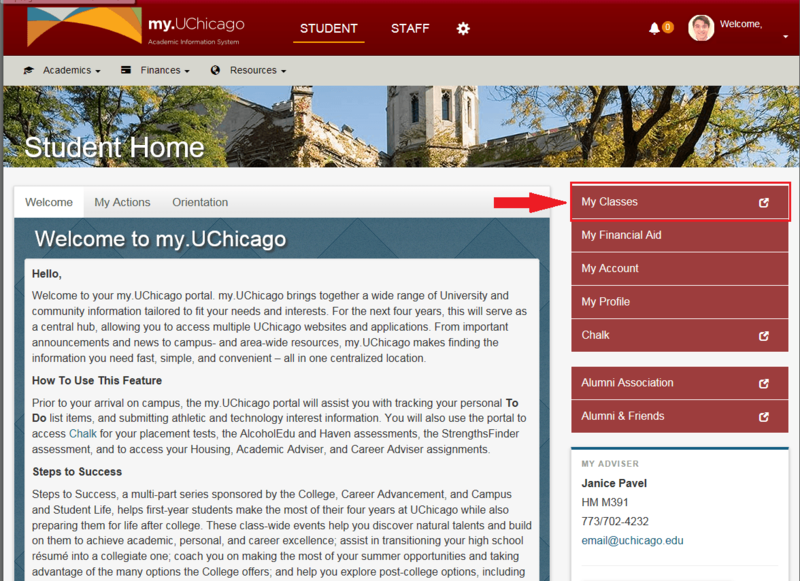 Navigate to my.UChicago and log-in using your CNetID and Password. 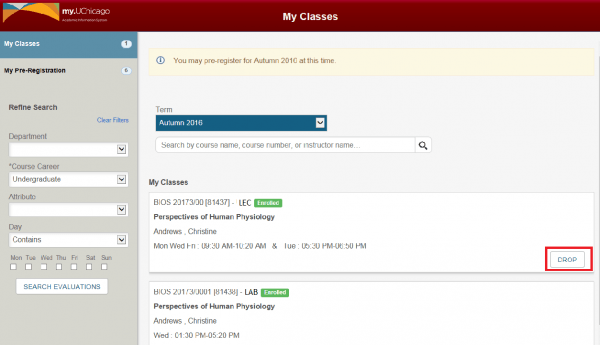 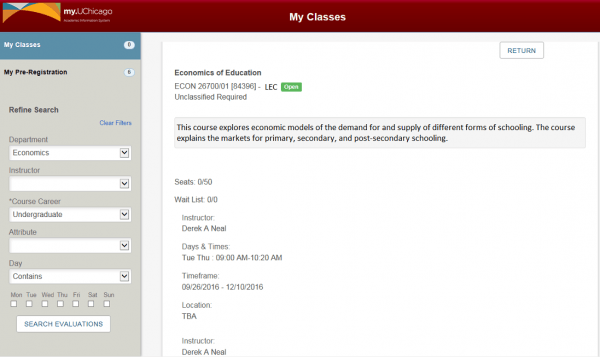 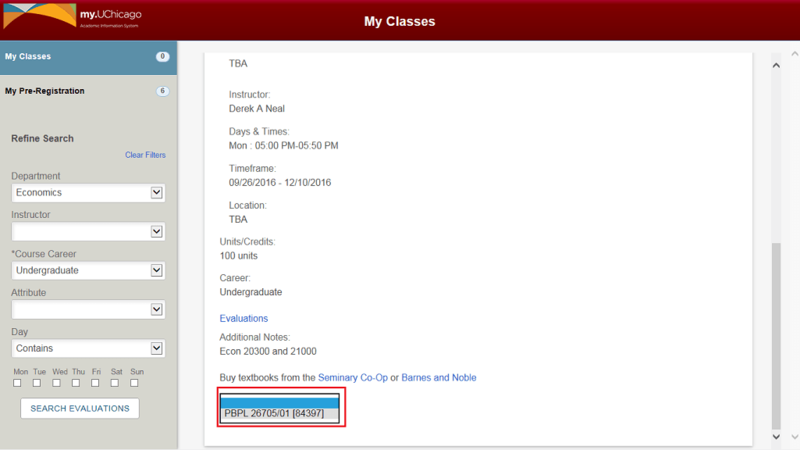 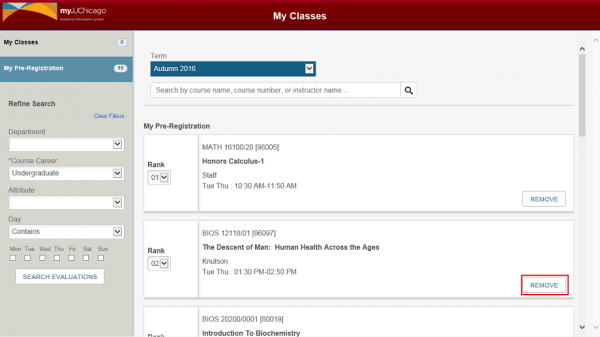 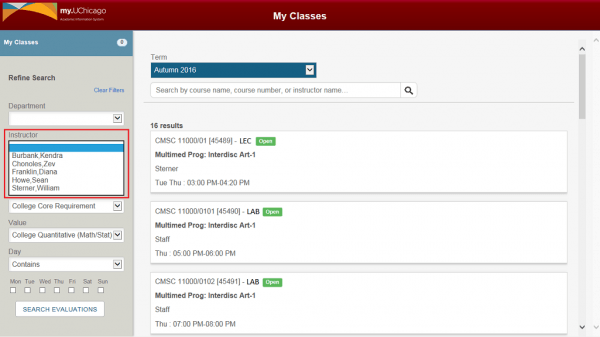 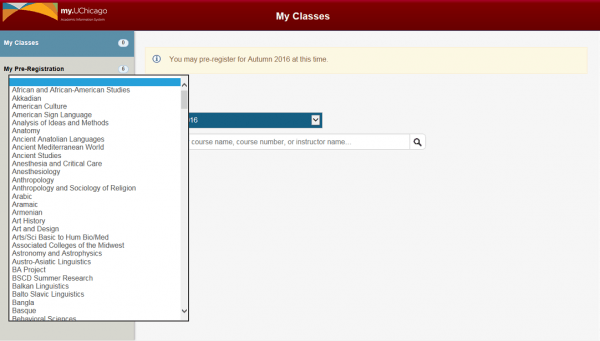 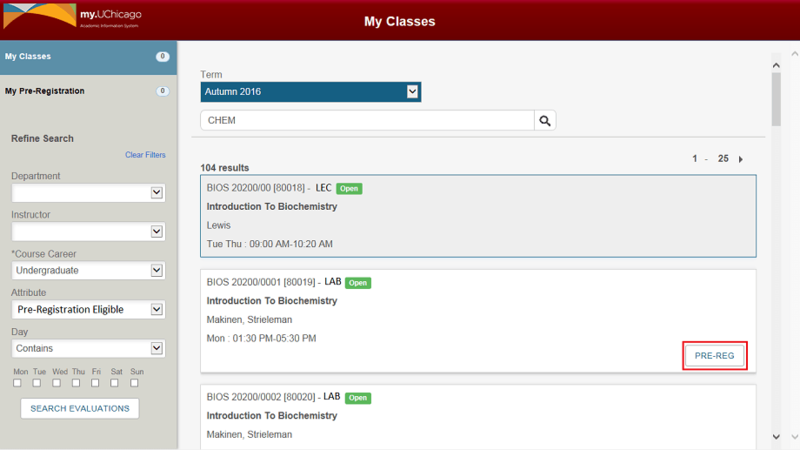 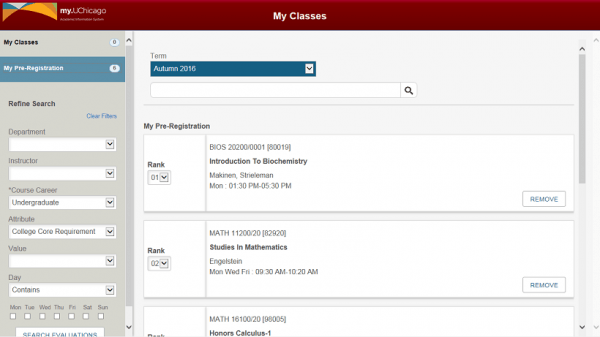 Click on the “My Classes” button to Pre-Register for classes. 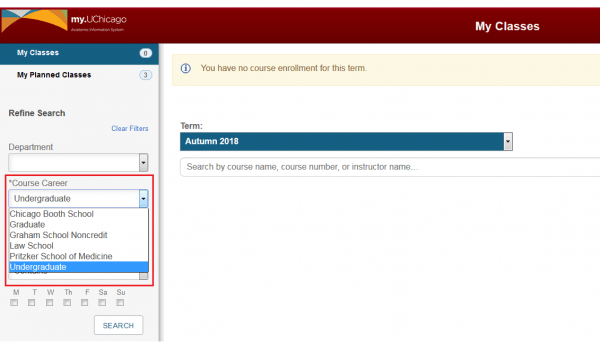 An Attribute is used to identify courses that meet a specific criteria. Click the “Pre-Reg” button next to the desired class. The My Pre-Registration counter increases as courses are selected. Click on My Pre-Registration tab to view a list of all pre-registered classes. Cross-listed course details will appear at the bottom of the page. 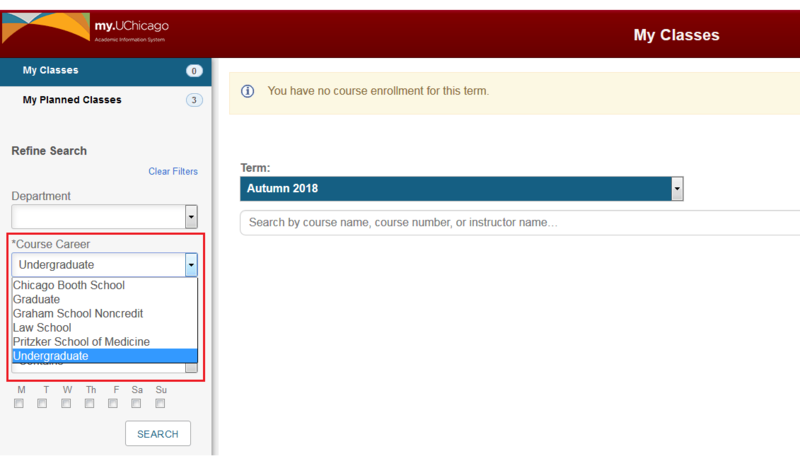 Use the drop-down to switch between cross-listed courses. Rank classes in order of preference (1=most desired, 10=least), up to ten classes. Use the drop down to change the rank position of a class. 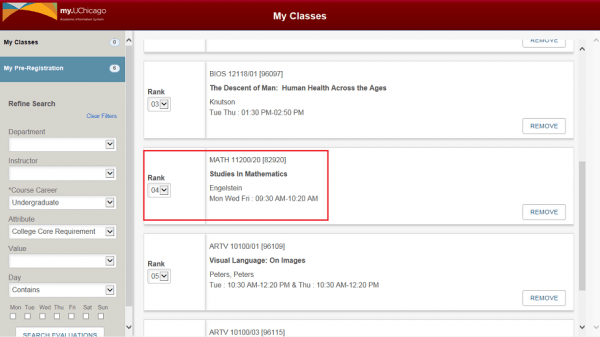 In the example below, MATH 11200 is being changed from ranking #2 to #4. The new rank is automatically saved. MATH 11200 has been updated to ranking #4 and all other classes have been adjusted. 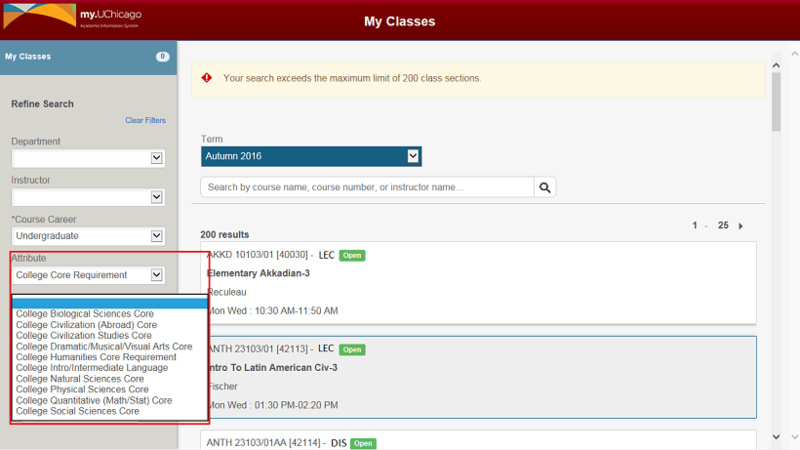 Click the “Remove” button to remove a class from the My Pre-Registration list. 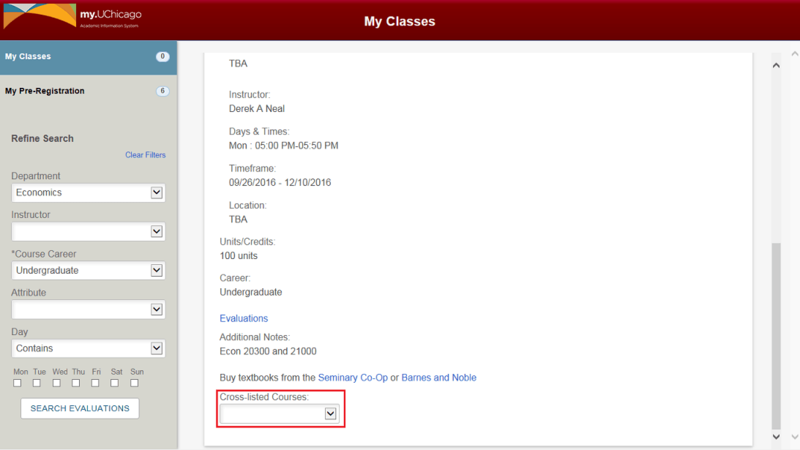 Click the “Drop” button to remove an auto-enrolled class.